It was quiet when our boat docked on Pitogo Island. From afar, its lush golden-green hill and dark stretch of beach had beckoned with promise. 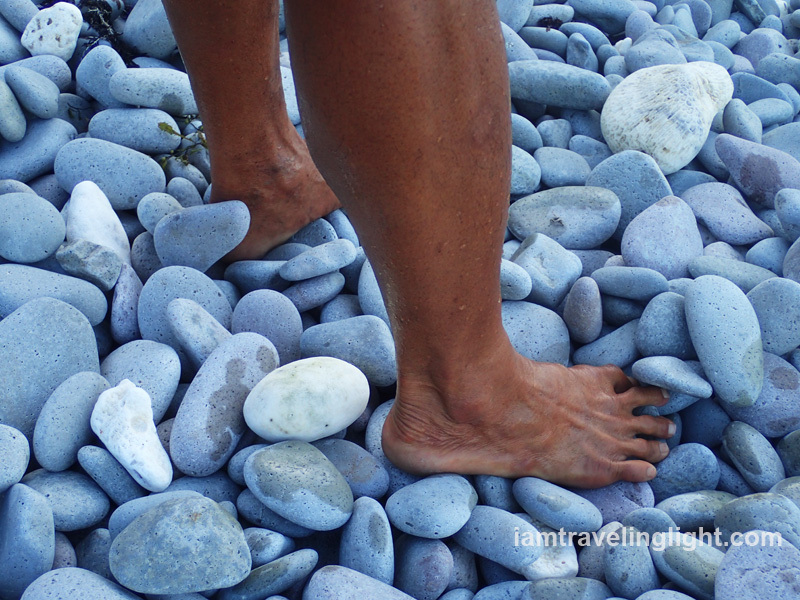 I stepped on Lantangan Beach, and at once I heard a sound that reminded me of soft water chimes. I took another step, and I heard it again. The stones were singing! The beach was not quiet after all. The stones, some flat, some rounded and fat, played different notes, depending on their size. I listened more intently, and when I did, I heard the bigger music of waves washing the stones – painstakingly, ever-so-slowly, tugging them closer, then farther, from the shore. It was like the soft trickles of rain with occasional big splashes. It is a melody I don’t think I will tire of hearing. Even the quietest waves here make music. A sample of Lantangan’s music. The real thing is much more amazing, though. On the other side of the beach is a cove fringed by islands. Here, the music is quieter, subtler. There is soft, powdery sand on this other side of the beach. The bright green hill spans across and beyond the two singing beaches. As we scaled the hill, the music from the beach began to recede, gradually replaced by the wind. I looked down, and the stones from the the singing beaches gradually became a beautiful strip of gray between two seas. As I listened to the wind, I took in the deep greens and blues around me. From the summit are more greens and blues. 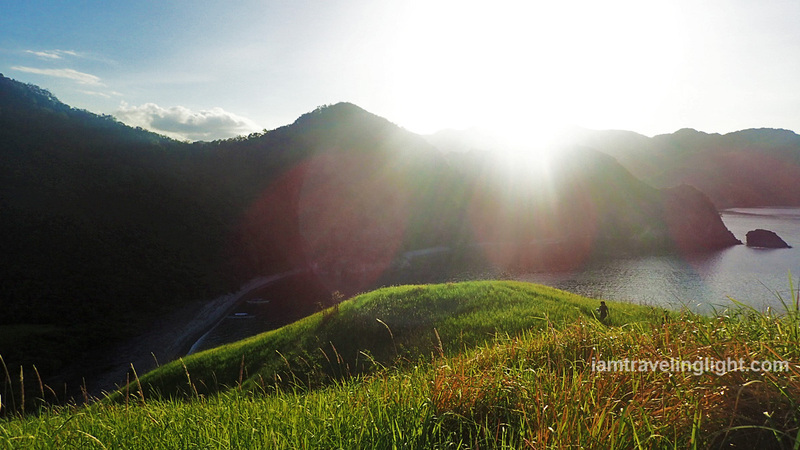 As the sun edged down, the hills and the beach were thrown into shadow, while the hill we were on shone brighter. As we climbed down along with the sun, Pitogo Beach darkened, and the wind became stronger, making the music more powerful. The already dark stones at Pitogo become darker as the sky darkens. As we walked to the boat, I savored the music from my own steps and my companions’ steps, all in harmony with the endless music of waves and stones. I know that the latter is a melody that will go on even when no one is listening, and will keep playing even as the island welcomes new visitors. 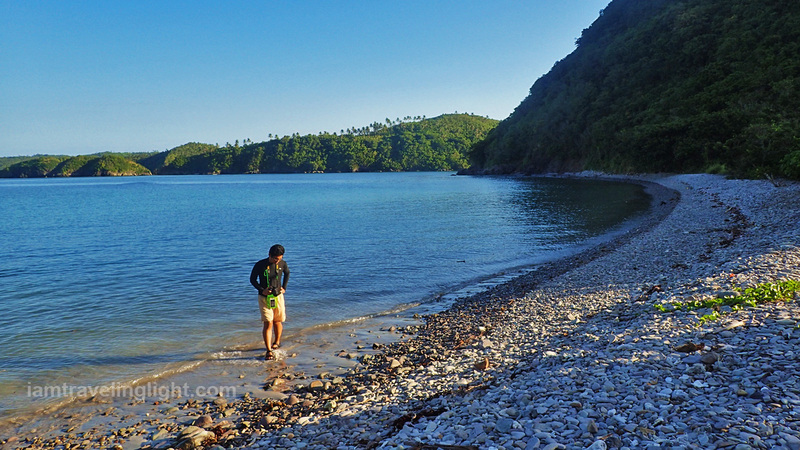 Tip: Pitogo Island is not usually included in the island hopping tours in Caramoan. Ask your boatman to take you there for an additional price. Better yet, go with a tour organizer that takes travelers to islands not usually part of island hopping itineraries. 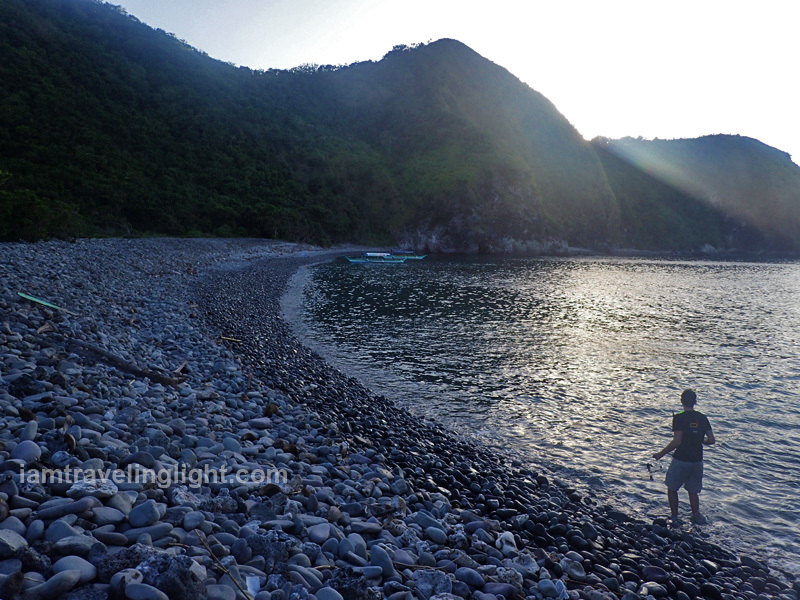 We went with Kaddlagan Outdoors with the help of Naga Tourism for this tour and the other islands of Caramoan. How to get to Caramoan: Take a flight to Naga, or take a bus to Naga from Cubao, Pasay, or Alabang. Book ahead to ensure you have a seat. Philtranco, DLTB, Mt. Isarog Lines, and Peñafrancia Tours are the more reputable bus lines. Travel time by bus is 9 hours. From Naga, take a bus to Caramoan from the terminal. 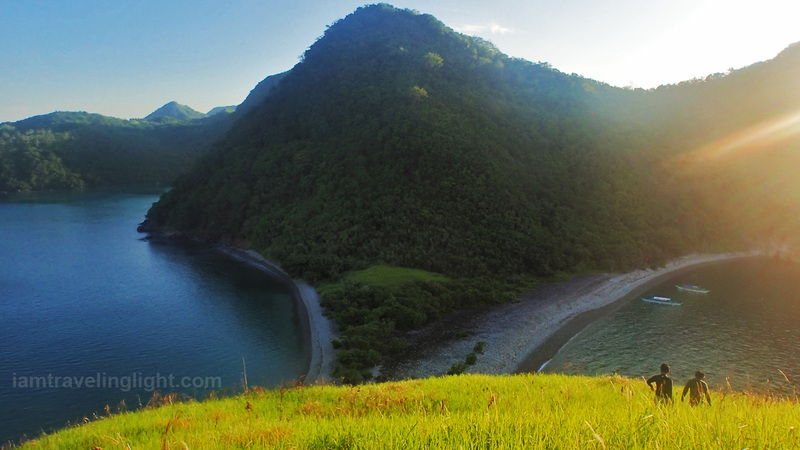 Then, when you arrive at Caramoan town, take a tricycle to Paniman, the jump-off point for island hopping. Travel time to Paniman from Naga is around 4-5 hours. 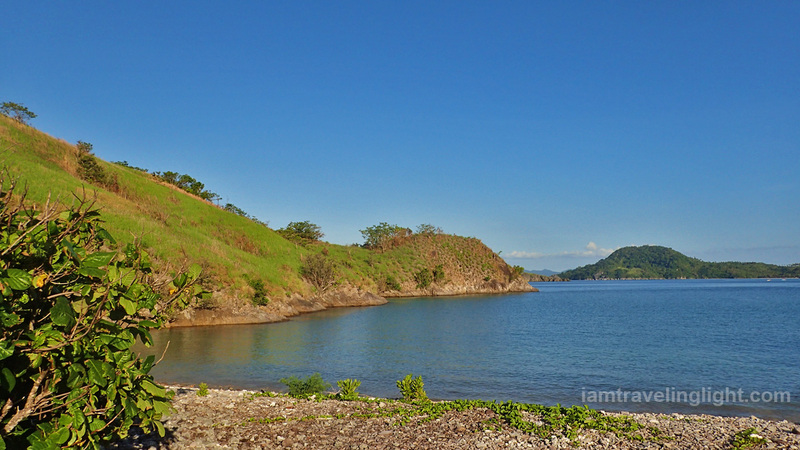 Alternatively, from Naga, you can take a van to Sabang port, then ride the passenger boat to Guijalo port. From Guijalo port, take a tricycle to Paniman. Travel time is shorter, around 3-4 hours. I can’t exactly recall the last time I went to the Bicol region (I think I was much younger then, with my parents), but I’m sure I haven’t been as far as Camarines Sur, much less Caramoan. 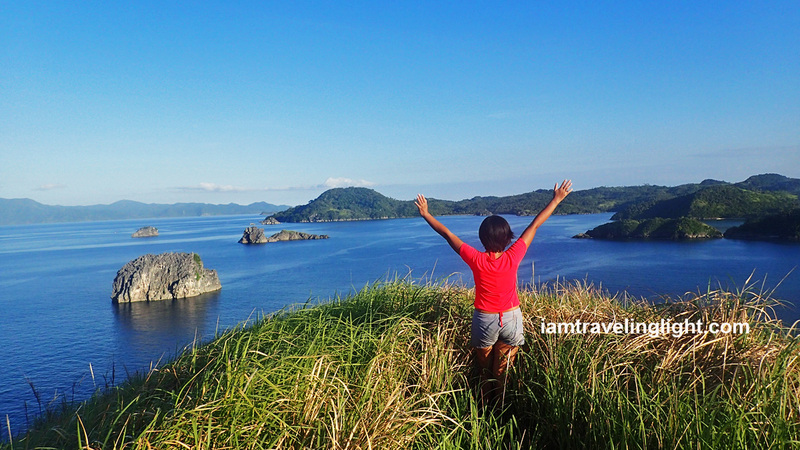 Your blog more than inspired me to include Caramoan, AND Pitogo Island in my bucket list. Keep traveling! Thanks! Yes, Caramoan is beautiful and worth the long trip. That melody with this poetry (your poetry) is the song of Pitogos. That is a gorgeous beach! 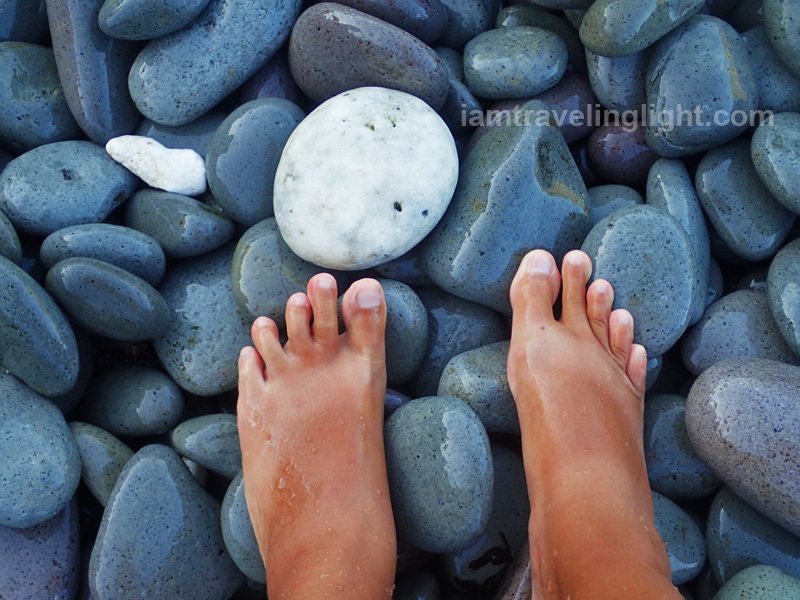 The pebbles are like that of Mabua’s in Surigao. 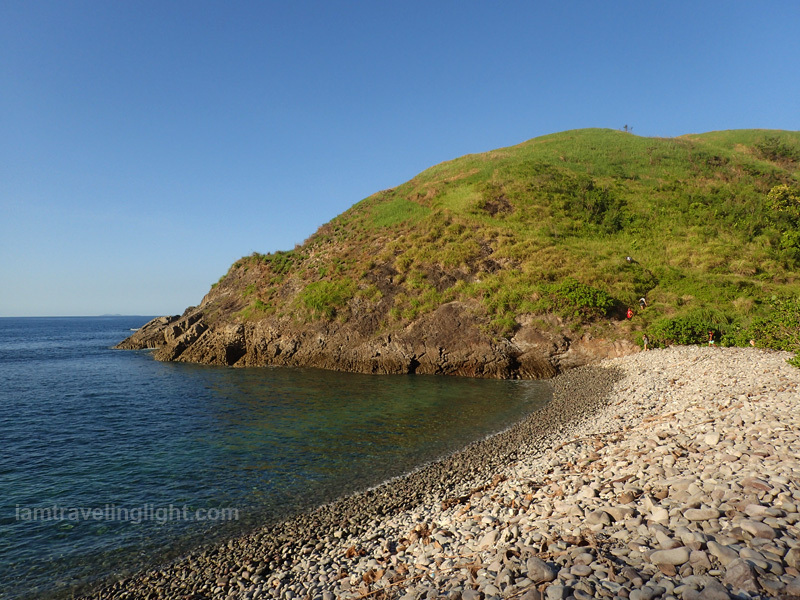 It’s like a mix of Mabua Pebble Beach, Hundred Islands, and Nagsasa Cove. 🙂 We would love to visit this place. It’s worth it. 🙂 And Caramoan has other beautiful islands too. 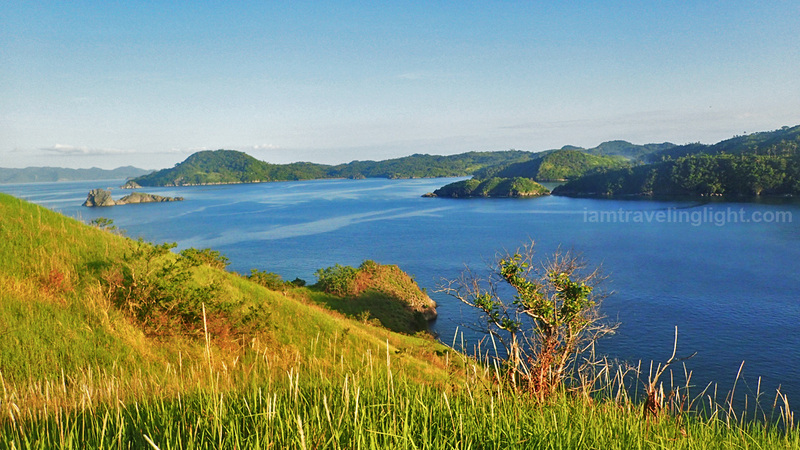 Just to get to Caramoan is an adventure unto itself, so many modes of transportation just to get there. Love your travel stories, I live vicariously thru you, thank you. Indeed it is. 🙂 Thanks for the kind comment.